Düsseldorf is the biggest international village you can live in. The city itself has, even though it is the state capital, only 640.000 citizens. It’s neighbor Cologne has over a million. However, it has an international airport with direct flights to LA, Chicago, Boston, Moscow, Abu Dabi, etc. It has one of the biggest Japanese enclaves outside Japan, international schools, English as an official language in the administration… So if you are from abroad, chances are high that you will find it easier to live in Düsseldorf than other German cities as the population is very diverse and you get along easy with English. Shopping and eating is awesome because of the international influx. It will be very difficult to find better sushi in Germany or shopping strip than the “Kö”. You can live in the vibrant center, the Altstadt or in one of the quieter suburbs like Benrath with a castle and park. The most expensive thing about Düsseldorf is the rents. Once you have that accounted for most other things are pretty decent value. If you can spend only HALF of your salary for rental, and save other HALF for transportation, groceries, recreation, apparel and utilities then it’s likely you can live comfortably. Four-person family monthly costs: 206,154.61Rs (2,651.71€) without rent (using our estimator). A single person monthly costs: 59,898.19Rs (770.45€) without rent. Cost of living index in Düsseldorf is 143.40% higher than in Delhi. Now that you know in detail what to expect when moving to Düsseldorf it is only simple maths to add up all expenses. 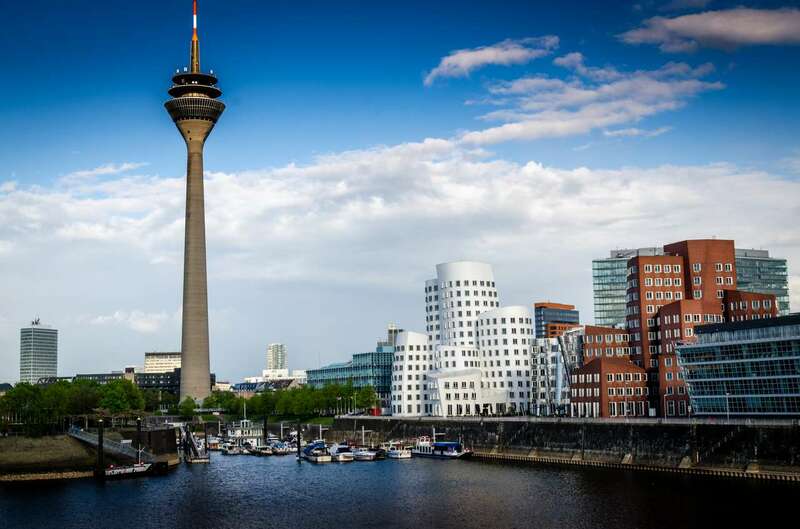 In our opinion you can live happily in Düsseldorf with a monthly budget of 770€. If you want to enjoy some more Luxus you should be able to do so with a monthly budget of 2.500€. How can you stay safe in Germany?